In healthcare, patient safety is always top of mind. From medication administration and patient assessment, to process improvement and policy writing – every day, safety is of utmost importance. There is great work being done at Mission Health to improve patient care, patient and family engagement, and quality of care. We will join the National Patient Safety Foundation in celebrating National Patient Safety Awareness Week during March 12-18, 2017. 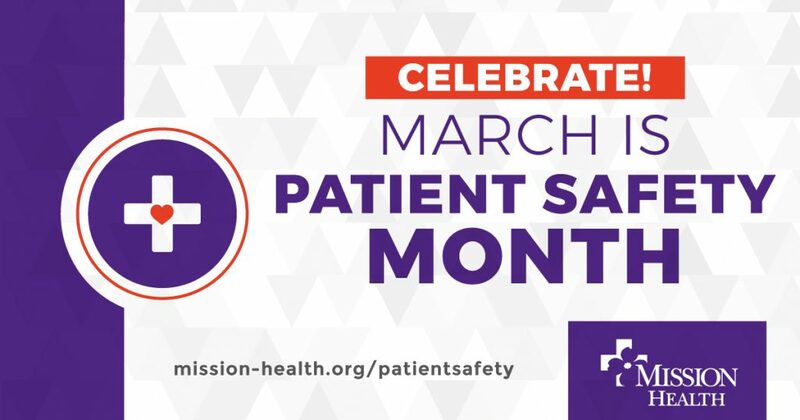 The theme is “United for Patient Safety.” At Mission Health, we take this a step further and are devoting the entire month of March to increasing awareness, educating team members and celebrating the work we do. 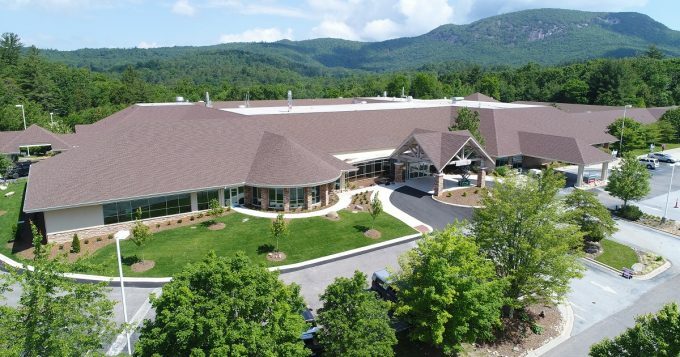 We continuously work to provide care that is free from harm and improve our processes to keep every patient safe. This responsibility belongs to everyone. If you are a patient or a patient’s family member, you have a vital role too. As a patient or family member, if something doesn’t seem right, or doesn’t make sense, ask for clarification. Not only medications, but foods are also an important allergy to recognize – notify your nurses, doctors and other team members of any allergy or sensitivity – and understand that it is for your safety that we ask these questions multiple times. We always use active identification when possible by asking for your name and date of birth. This helps us keep you safe by participating in this double-check process each time we perform a test, deliver a medication, change your location, etc. Be sure not to interrupt team members who are wearing a yellow sash. The sash indicates they are administering patient medications. If you see a nurse wearing a yellow sash, please hold any non-medication related questions or concerns until the process is complete. Distractions may contribute to errors during the complicated medication administration process. Engaging patients and family in conversations about care and treatment can reduce risk and improve outcomes. We invite you to partner with us and ask questions when they arise. Ask us about our whiteboards in your room – this is an important communication tool we utilize to keep you informed of goals, last dose of pain medication, activity restrictions, your care team and your questions for the care team. We invite everyone to engage in focusing on patient safety to help reach our goal of providing the safest, most effective care. 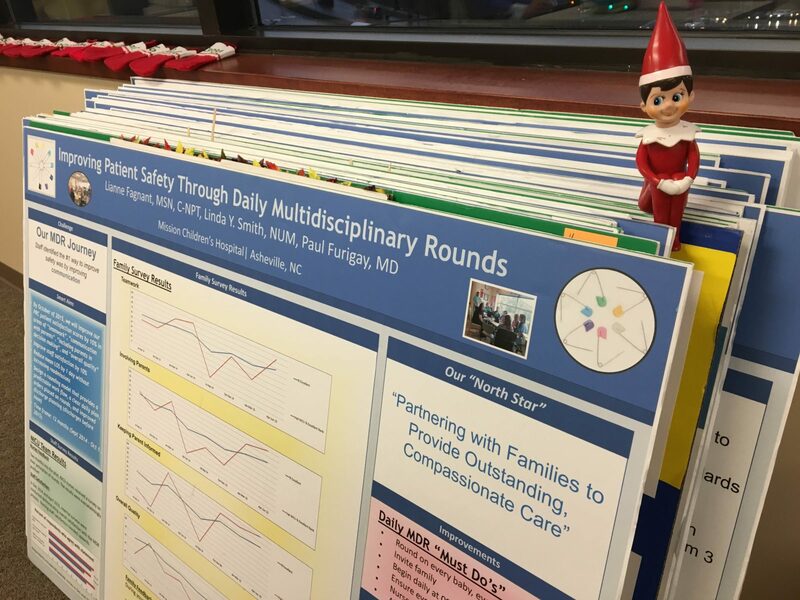 Team members, patients and families are “United for Patient Safety” – recognizing that no one knows a patient better than the patient themselves or their family care partner. It is our hope that each staff member and patient feels that it is Patient Safety Day EVERY day! To learn more about patient safety at Mission Health, visit mission-health.org/patientsafety.